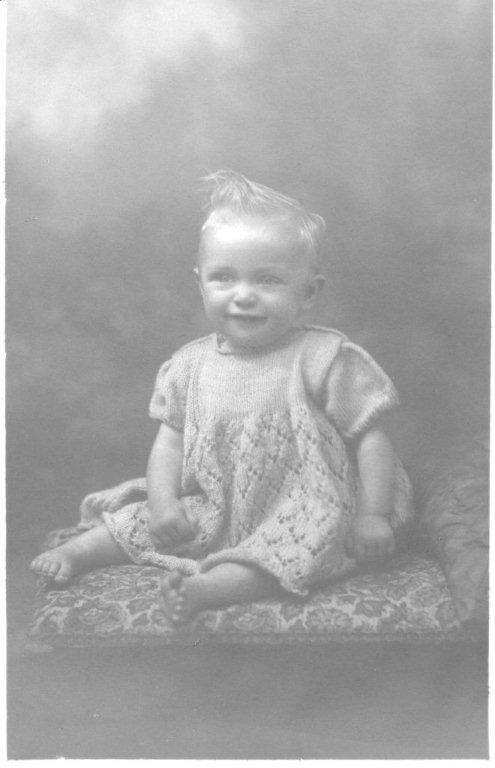 I was born on 12th February 1937 in Heath Road , Hounslow. 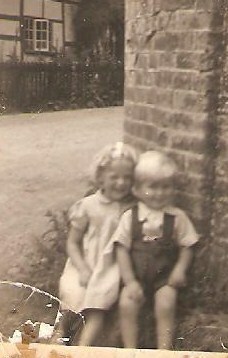 18 months later, August 1938, we were in Elerdine Road, Hounslow where Ken was born. 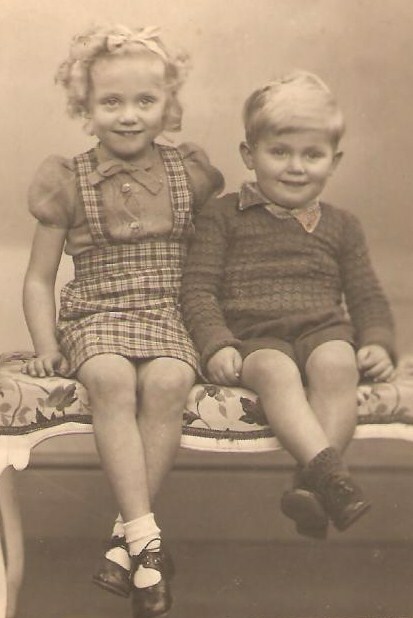 Some time in 1941 when we were living in Wimbledon the house we were in was bomb damaged and we went to live with Aunt Dot at no. 300 Figheldean. This is where my first memories start. No. 300 - I remember this as one room downstairs with a black leaded range where all the cooking was done and in front of which we had baths in a tin tub. There was a door to the left of the range which led to stairs to the only bedroom. Grandad slept in one corner behind a curtain, I never saw him out of bed. (I can’t remember the sleeping arrangements for the rest of us. Except Christmas 1941 when Dad came home on leave, I was shipped over the road to stay with the Shepherds.) In the middle of the back wall of the living room was a door leading to a scullery passage (with a cold water sink and water provide by a pump) then a wash room with a large boiler under which you lit a fire to warm all the hot water for baths etc. as well as doing the washing. Then onto the back door and the outside privy. (Yuk). Aunt Dot grew enormous pumpkins (work it out). Naomi was born in October 1941 while we were staying with aunt Dot. I started school around this time in the village school, one large room divided in two by a wooden partition to make one room for the infants and one for the juniors. I remember playing down the lane and by the river by the mill also in the garden with Ken and a boy called George, I think he was a Shepherd. 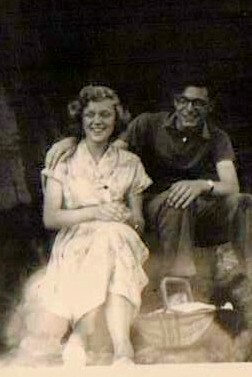 Sometime in 1942 (before June) we moved to married quarters in Mill Hill barracks and I went to school at Frith Manor. The only thing I remember about this school is being in the Nativity play when I was an angel and Ken one of the three kings, also being forced to eat Pork fat (I still can’t face it). I remember hearing and seeing “doodlebugs”, and being fascinated rather than frightened. We were there when the war ended. 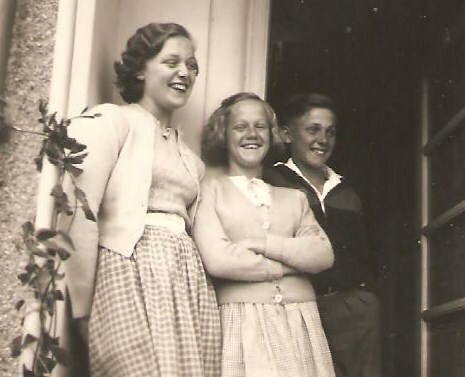 We moved to Llanmiloe near Pendine in Carmarthenshire in the middle of 1946 and this is where I “grew up” very happily. We had a couple of holidays from there to stay with Aunt Jean in Durrington, Mum used to tell us to look out from the train for the White Horse carved in the chalk on the hill, then we would soon be there. I remember going on picnics beside the river at Figheldean and playing in the river. When I was about 12/14 I was Welsh Junior champion at 22 bore rifle shooting, twice, and about this time I travelled by myself from Carmarthen to Portsmouth, changing at Cardiff, to stay with Uncle George and family. (That wouldn’t be possible in this day and age would it?). 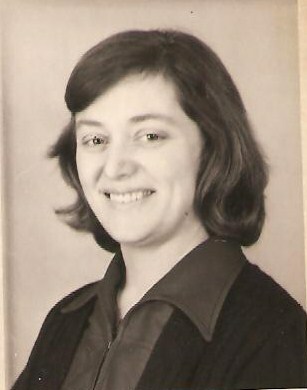 I passed the exam to Whitland Grammar School, played netball for the school, took my O levels (got four), left school and went to stay with a “Stout” aunt in Morden. The job I went there to get did not materialize so I went to work in a Garage in Wimbledon and so started my “career”? in finance departments. For various reasons I had to go back to live in Pendine and started work in Laugharne post office until I was offered ten shillings a week more to go to work in the local granite quarry (early form of headhunting?). 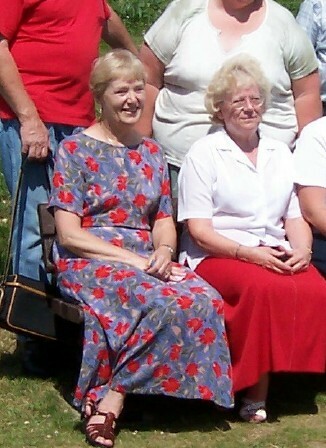 We were visited by various members of family while we lived at Pendine, including David, Mollie and Katey (Margaret). In 1956 Dad was demobbed from the Army and we moved to Hounslow. I got a job in the finance department of the headquarters of BEA at London Airport and it was there at a social club dance class that I met Les Rhodes (he worked as an airframe fitter for BEA). 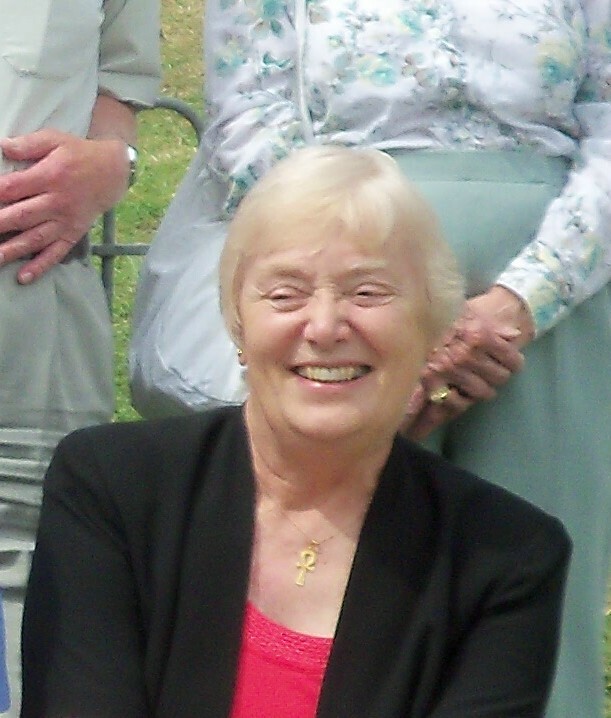 We became engaged on my 21st birthday and married on 28th March1959 in Osterley Church when I was 22. 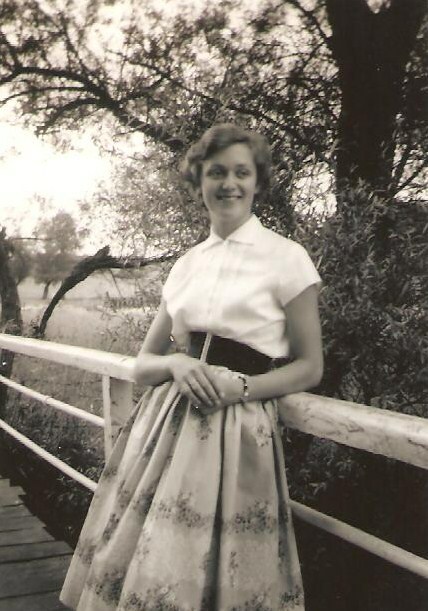 We couldn’t find a house which we could afford to buy in and around Hounslow so Les got a job with Handley Page Aircraft at Colney Street and we bought a house in London Colney, near St Albans in Hertfordshire in 1961. 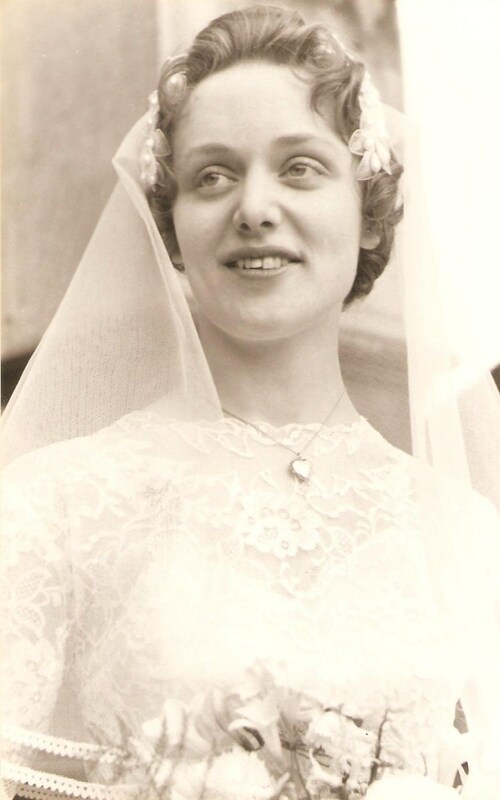 Mum died in 1963 much too young and Dad moved to Somerset. I was going to be a lady of leisure till the babies came along but as they didn’t and I got bored. I did several part time jobs, then went to work at Handley Page so when an American firm bought the company and then abandoned it both Les and I were made redundant. This is where in 1970 I went to work at Napsbury Psychiatric Hospital in the finance department looking after Patients Monies. Napsbury was one of the old Victorian hospitals and when I first went there had a family atmosphere. I enjoyed working there, plenty of variety in the work and the occasional drama, the patients could be funny sometimes though there were of course some very sad cases and there was the odd one who frightened you. I was there for 27 years working my way up to be manager in charge of Pats. Monies Department and I retired in 1997. In the mean time! Les and I were very happy together, though in 1982 I got breast cancer and had a mastectomy followed by 6 weeks of radiotherapy and I recovered fully. After 25 years in London Colney and we had paid off the mortgage (imagine 25 years to pay off a mortgage of £2000), we decided to move into St Albans. We went along happily until 1995 - - - I had the worst 2 years of my life. I discovered Les was seeing another woman, then my dog died. Dad went to Tunisia on holiday and collapsed with an aortic aneurism. I flew out to Tunisia to bring him home but he was too ill to travel on an ordinary flight so we were flown home in a Lear Jet, just Dad, me, the pilot and co-pilot a doctor and a nurse. We landed on a freezing cold night at Exeter airport just before Christmas 1995. A private ambulance took us to Yeovil hospital. (Dad had really good insurance). Dad was discharged after a few weeks and I travelled up and down most weekends from St. Albans to Somerset. He was readmitted to hospital later and unfortunately died 5th March 1996. I decided to divorce Les and this was finalised in October 1996. So.. I had to find somewhere to live; I couldn’t afford to buy in St Albans so I decided to come back to my “roots” in Wiltshire. I looked at several towns in the area some I liked but could not afford, some I didn’t, Westbury I liked and could afford. I bought my bungalow and moved in on 1st November 1996. (Little did I know when Mum pointed out the White Horse to us from the train, that I would end up living in Westbury “the home of the White Horse”). I did not retire until February 1997 so I was travelling up and down from St. Albans every weekend for 4 months. I have been very happy here. My next door neighbour introduced me to the W.I. (though I was sceptical at first.) I was treasurer for 9 years and I have just retired from being president after 3 years. I have made some very good friends especially Daphne, Maggie and Rose. We all joined the U3A a couple of years back, I go to a painting class with Maggie and we all go to Card making. We all meet up in each other’s houses on Saturdays for a meal, gin and tonic and play cards. Daphne and I go on holiday together twice a year. I lead the walking group of the W.I. (we climbed Glastonbury Tor recently.) I have had a little dog for 14 years (Dodie) she is getting old now - a bit deaf, a bit blind and getting very slow, she has been a good companion. I get to see quite a bit of Ken and Naomi as they both live about 30 minutes from here (Naomi is the only one of us cousins to live in Figheldean) both of them having come back to their roots also. I am still good friends with my sisters in law two of whom live in Somerset, just over the border, as does my goddaughter. We meet up occasionally, and of course I have my garden, which I love to get out and look after. I don‘t get time to be bored and I look forward to many more happy years here. As long as I keep healthy!